Experience a fast-paced 3D anime inspired battle arena. It has three different characters with unique arsenal of weapons to choose from. Train up and master your skills, and climb up the ranks. Choose from 3 different characters, each with their own sets of weapons. Still Alive: Survival PvP is an amazing battle arena game. 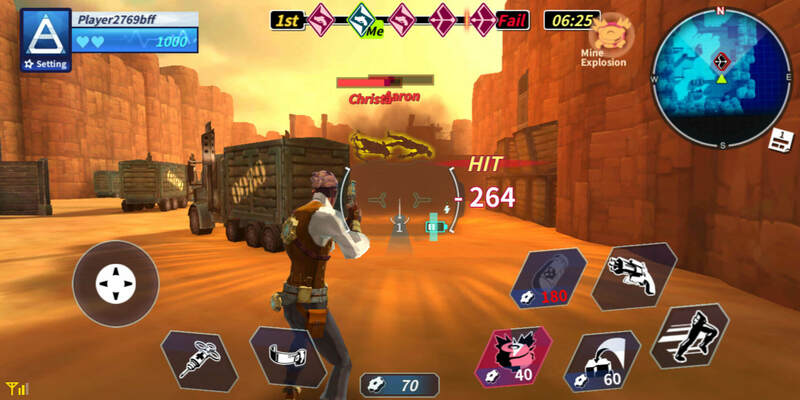 It features 3D anime inspired characters with different specializations and deadly weapons. Are you strong enough to eliminate your competition and be the sole survivor? 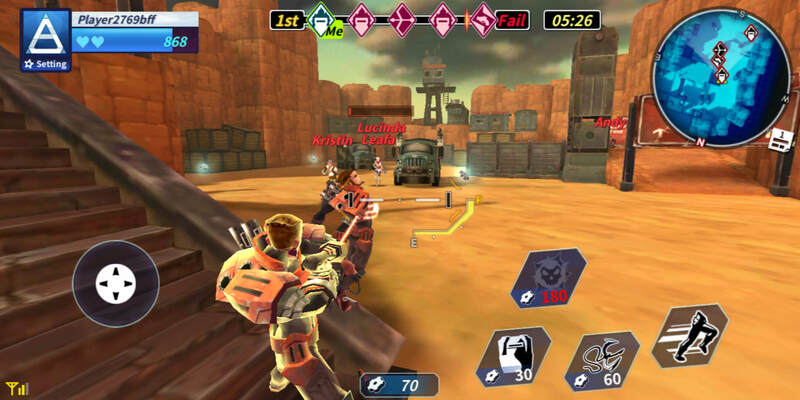 Experience action-packed survival matches as 5 players risk their lives in the battle arena in epic battles. You have access to deadliest weapons that can change the tide of battle in an instant. The basic premise of the game is to eliminate your enemies before they eliminate you and be the last man standing. There are three different character classes that you can use in this game; They are the SilentHunter, MachineElite and PyroManiac. The SilentHunter specializes in long-ranged high damage attacks and is sneaky as he can go into stealth mode and shoot through obstacles. The MachineElite specializes in traps and machines that help him jump on enemies to land explosive attacks and dropping bombs on enemies. The PyroManiac utilizes his trusty flamethrower to burn his enemies while having access to a defensive assault shield and Gas Explosions. Different characters have access to different main weapons. You also have an arsenal of weapons, aside from your main weapon, at your disposal but so does everyone else. So, it’s important to pick a secondary weapon that you can use competently. The controls are easy to master. You use the left joystick to move your character around while you have a third-person camera following your movement, you can swipe anywhere else on your screen to move the camera around. Then you have the shoot button on the right side of the screen that you just need to tap and hold. You also have a dash button that you tap and hold to dash around the map and get into a better position for the killing blow, but you have to mind your stamina as it can drain pretty fast. Note that your stamina will automatically regenerates over a short period once you stop dashing about. You have access to a medkit that you can use once in every match to heal instantly and another regeneration item that heals over time that you can also use once in every match. Some enemies also drop medkits when they die so it is important to get those if you are in the clear. Interestingly, in this game, you have 2 lives so even if you don’t have a medkit to heal up, know that you can respawn once you die and get your revenge. Make sure to make it count though because if you die again, you will be eliminated. 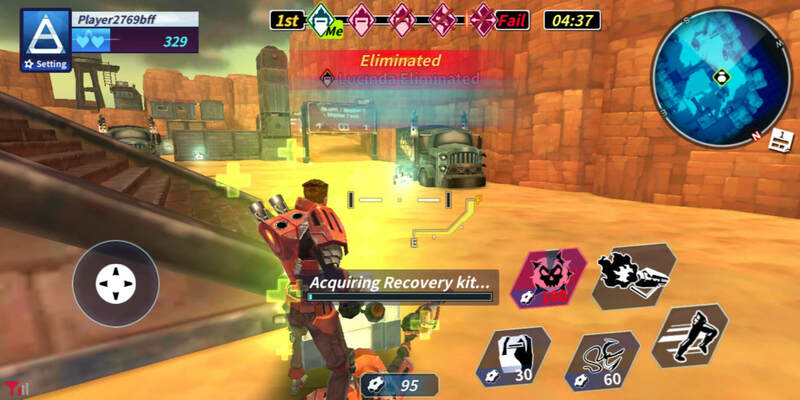 The game is extremely fun as it brings intense action in every second of the match. Arenas are small so you are assured that there is always action. You also have access to weapon upgrades and ability upgrades to gain better advantage over your opponents. These upgrades cost gold that you can earn from winning matches and from their daily, infinite and basic quests. Sounds like a game you’d like to play? Well, all you need to do now is jump into the game and start climbing up the ranks. You can download it for free from Google Play and the App Store.